Tell your special someone how much you love them by presenting them with our personalized heart Coco bear this Valentine's Day! This is a wonderfully unique way to truly give someone your heart. Our Coco bear has an irresistible look and is made of a wonderfully super soft mink touch fur on body, nose, and foot pad, with black bead-like eyes. 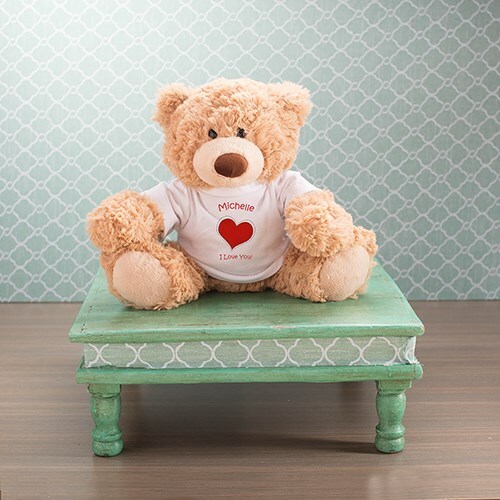 He sits about 10" high with his approximate size 13" H flat x 10" W x 8" D.
His t-shirt will be personalized with any name and any custom message to make anyone receiving our bear heart melt.